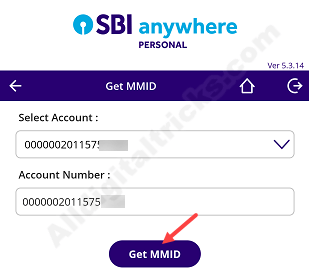 In this post, you will learn how to get your SBI account MMID online. 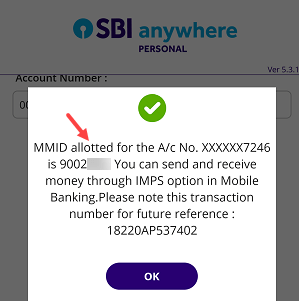 SBI customers can generate their MMID online without visiting branch. MMID full form is Mobile Money Identifier. It is the 7-digit number given by Bank to transfer money online using IMPS. For IMPS money transfer, either you can use person’s MMID & mobile number or Account number & IFSC code. 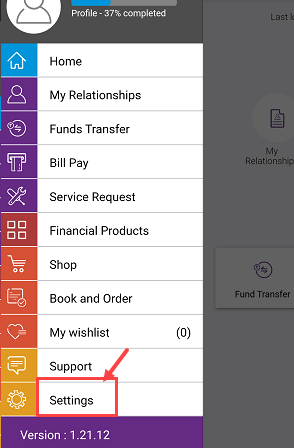 You can give your MMID and mobile number to receive money if you don’t want to reveal your account number, same you can transfer money to any person’s bank account using MMID & mobile number without an account number and IFSC code. 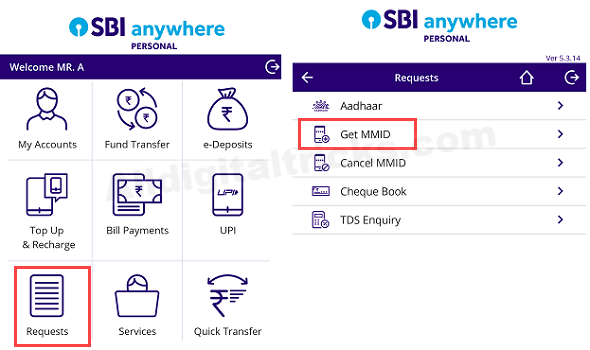 Here are 3 ways to get SBI Account MMID online. SBI Mobile Banking application – SBI Anywhere enables you to generate your MMID instantly. 1- Login to SBI Anywhere mobile Banking. 2- After login, tap on Requests tab and then select Get MMID option as you can see below screenshot image. 3- Now select your Account number and tap on Get MMID button. Done! you can see a pop-up screen displaying your MMID number. You will also receive an SMS on the registered mobile number. 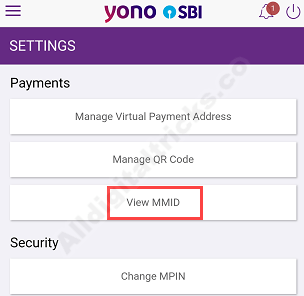 SBI YONO is another digital banking application launched by SBI. You can register on this application using net banking credentials. 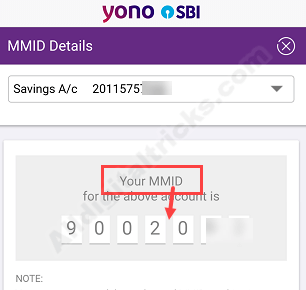 See how to check MMID of your SBI account on SBI YONO. 1- Login to SBI YONO. 2- After login, tap and open menu option and select Settings option. 3- Now tap on View MMID. 4- Now select your account number and below you can see your 7-digit mobile money identifier number. And the last option is SMS. If you are not using Internet services then just send an SMS from your registered mobile number to receive your MMID number. After sending an SMS, you will receive a reply message containing your money identifier number. (1) Is it necessary to use MMID for IMPS transfer? Answer: No, you can use a person’s account number and IFSC code also to transfer money through IMPS. I hope you understand how to get MMID for SBI Account online. You can choose any methods to generate your MMID online.